In the age of virtual and augmented reality, social media and massive online gaming worlds, many people expected old-fashioned activities to slowly die out or be replaced with modern versions. It is true that many games such as chess and bridge have been given computerized makeovers but that hasn’t stopped the games still remaining popular in their original format. In fact, traditional games like these, along with board games and retro computer titles are thriving right now. Aficionados of these old-school pastimes will find plenty of places to play them in Ohio. Here are four must-visit locations in the state. Chess is one of the oldest pastimes in history and the modern version of the strategy game has been around since the 1400s. It is also one of the few games that has rarely been adapted or changed much when moved to a computerized format. It is still played by a large number of people as well. According to Steve Martin, CEO of M&C Saatchi Sports, chess is the “sleeping giant of the sports/entertainment world.” Certainly, as mind and eSports grow in popularity, chess will have a part to play. There are so many places to play chess in Ohio, with the Cincinnati Chess Club being one of the best-known organizations in the state. The group meets every Thursday between 6 pm and 11 pm at the Deer Park Community Center and offers tournaments for varying levels of playing ability. There is always a high number of people in attendance at the events, with the 2014 Boy Scouts Peterloon Festival attracting over 5000. Bridge is another much-loved traditional pastime, and one of the top card games in the States. In fact, according to the American Contract Bridge League, over 25 million Americans over the age of 18 know how to play the game. The joy of playing is rooted in the fact that it is a competitive game which also allows for social opportunities as it is played by four players. For bridge fans seeking a game in Ohio, the Columbus Bridge Center is a prime spot to enjoy a few hands. The club is located at the Crown Point Shopping Center and hosts bridge lessons along with regular tournaments. On Tuesdays, students are invited to join Joyce Penn to discuss some of the hands from the day’s play. For people who like to chat away with like-minded individuals while playing a strategic game which isn’t overly complicated, this is a great evening out. Retro games are making a serious comeback in the modern age. Despite there being sprawling open world epics on offer like Red Dead Redemption 2, players are still drawn to the nostalgic elements of the games of old. The phenomenon of Pokémon Go in 2016 was a prime example of this, as the mobile reboot of the old Nintendo Gameboy classic was downloaded over 750 million times in its first year according to developer Niantic. Soon after that, the release of the classic Nintendo Entertainment System: NES Classic Edition in 2017 showed how lucrative the market for nostalgia is. The Japanese company made 2.3 million units which sold out almost immediately. Sony did the same thing with the release of the PlayStation Classic, which was also a hit. The reason for this could be down to the psychology of familiarity, a topic researched heavily by Dr. Mark Griffiths of Nottingham Trent University in the UK. He found that people were more likely to play games that they know. Because of this, shops that specialize in old-school gaming are thriving. One of the best spots in Ohio is Warp Zone. 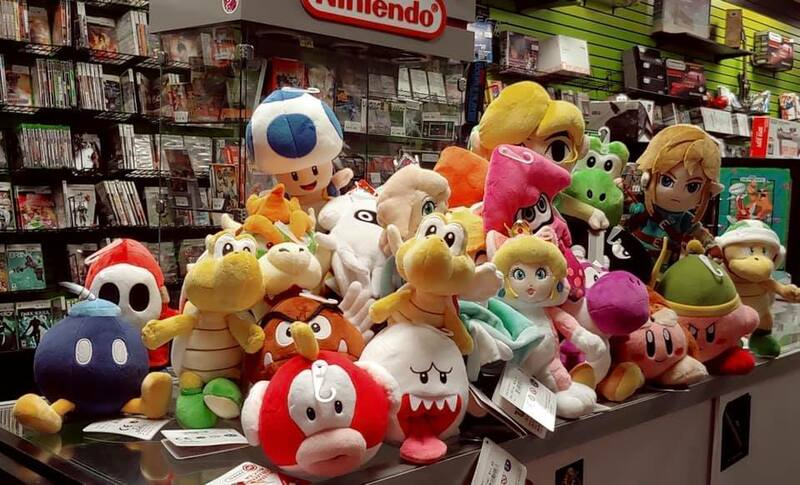 The shop in Hilliard is full of amazing vintage and imported video games, merchandise and collectibles. Those who enter feel like they’ve stepped back in time by a few decades, and the childhood memories come quickly flooding back. Another way that players are getting their nostalgia fix these days is at board game cafes. In fact, the traditional form of tabletop gaming is back in a big way and people are referring to this as the golden age. The board game industry is thriving and, in 2016 its market value was 3.2 billion. By 2021, that number is expected to almost triple to 8.12 billion, and this projection is thanks to the previously unprecedented rise of board game establishments across the world. Places that allow friends to socialize and play games at the same time are not just drawing on nostalgia elements to bring in clientele; by many, they are seen as the antidote to a reality in which more and more people are spending large portions of their lives in online environments. Board game cafes give people a chance to interact with people in a traditional way while playing the games they used to love at the same time. There are numerous locations for board game lovers to enjoy in Ohio, with one of the best-known places being the Tabletop Board Game Café in Cleveland. This was the first spot of its kind to appear in the area and has developed a loyal clientele base over the last couple of years. It is also a friendly and accessible place for new players who want to meet like-minded people. There are over 1000 games on offer, including childhood classics and brand new strategy games. Depending on what your favorite traditional game is, you will find plenty of options in Ohio. And the way things are going, there are likely to be many more establishments like these cropping up in the near future.